As consumers slash their budgets and newspaper subscriptions continue to slide, more people are turning to the Internet for coupons. 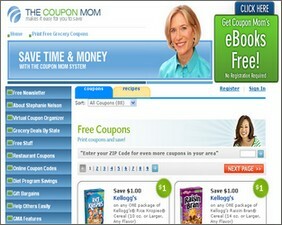 That’s good news for entrepreneurs leading the charge to move coupons online. According to a recent survey of 4,500 women by Burlington, Massachusetts-based online ad network Burst Media, coupon usage is up, and more consumers are turning to the Internet as their source. Thirty-four percent of respondents report using more coupons, while the rate of online users has jumped since 2002, from 3.8 to 16 percent. “The Internet has become the second most important place for women to get coupons, and when you consider that newspapers have had 60, 70, 80 years of marketing efforts, it’s that much more powerful a message for marketing,” said Chuck Moran, Burst Media’s VP of marketing.